So you’ve decided to publish your own online member directory, GREAT! We’re excited you’ve chosen to use our product. Now maybe you’re wondering how to get member photos for the directory, NO problem! How about putting together a fun & functional photo booth at your church? It’s a great way to build community and create excitement about your member directory. Here are some basic “How To” photo booth tips and suggestions to get you started. 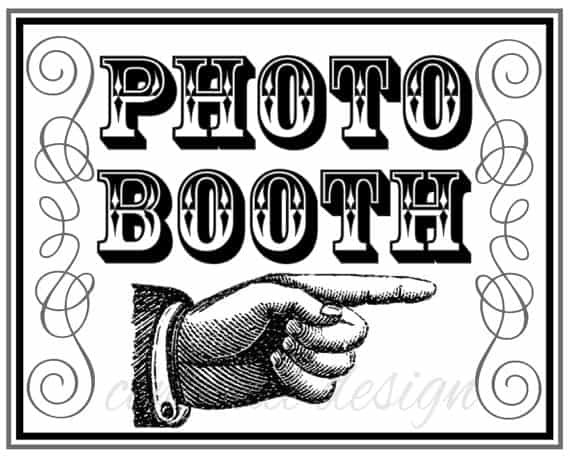 Organizing a photo booth provides a fun volunteer opportunity for interested church members. Make sure you have a “creative” an “organizer” a “photographer” and a “processor” to help you. Photo booths don’t need to be complicated. They can be as simple as a chair, some flowers, a pretty window, or maybe an attractive outdoor spot. Simply create a nice setting that lets your members capture a special moment, share an important message or tell a story. Rely on your “creative” team member to help with this task. In the days or weeks prior to the photo booth event, send out notices to your members and invite them to participate. Remind them to come early or stay late for a fun photo opportunity. In most cases, people want to participate and are just waiting for an invitation. Rely on your “organizer” for this task. Some participants might prefer to take their own photos because “selfies” are often fun and original pictures, but not everyone carries smartphones with good cameras in them. Make sure a volunteer photographer with a camera is ready when needed. You might prefer that all photos be taken by a photographer, which is fine and can work well. Whatever the case, rely on your “photographer” to manage this responsibility. To prevent confusion, be sure to put a process in place. Rely on your “processor” to help with these responsibilities. Remember, you’re building community among your members and making great memories too. Have fun doing both. All of your volunteers are responsible for ensuring this is a fun event, so encourage them to keep a fun, relaxed attitude. If done correctly, your photo booth will be a big hit and your event a big success. Make a photo booth available as often as you like. Use those opportunities to update photos in your church member directory, but remember to change the themes to fit the seasons and always remember to keep it functional and fun!